On Episode 126 of Soundwaves from the Underground! -Green Day’s wildly popular American Idiot was released in 2004 to critical acclaim. 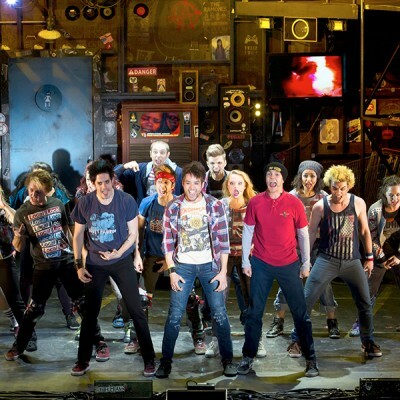 2010 saw American Idiot come to life on Broadway as a one-act musical. Dan Tracy, an actor on the play’s current run, speaks about the music and events that inspired this production. -The Wasatch Fault are loud, chaotic, complex and beautiful. This special blend of alternative rock has a way of stealing your subconscious with swirling guitar melodies and catchy, danceable riffs. Be careful or these guys will have you daydreaming all day. -The season of Christmas specials and extended commercial breaks is upon us. Turn off the reality TV and let Plan-B Theatre slice you off a piece of nostalgia with Radio Hour 8: Fairyana. Jay Perry and Jason Tatom give us details on this live radio show about a radio show where it’s miscreant writers become possessed by their characters during a holiday special. -Steeped in Americana, The Hollering Pines will pluck at your heartstrings with their twangy guitar and trembling female vocals, making you dream about the past and what could have been. The band toiled for months until releasing their debut album in November: Long Nights, Short Lives and Spilled Chances. -With the sun setting earlier and the nights getting colder, finding events and activities to fill your time with becomes harder, but Jimmy Martin reminds us that Hollywood has our cure for seasonal depression as he discusses this winter season’s upcoming film releases. Interviewers: Casey Morgan, John Ford, Ischa B.